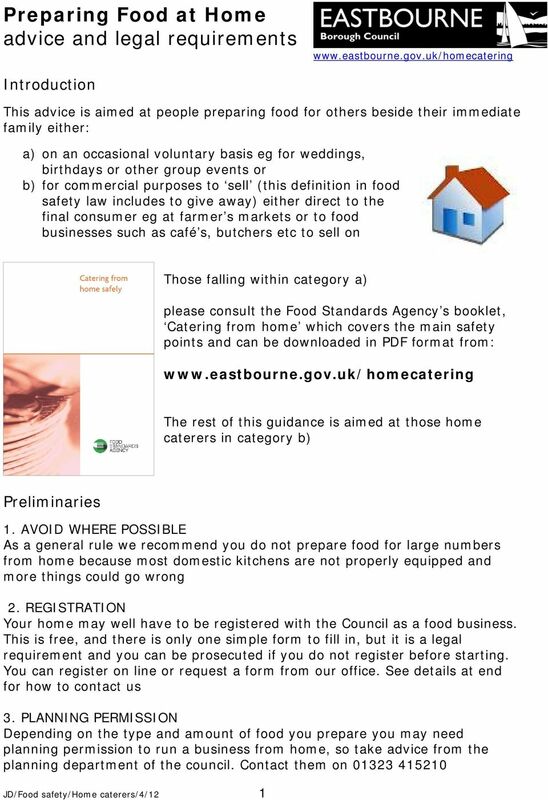 Download "Preparing Food at Home advice and legal requirements www.eastbourne.gov.uk/homecatering"
General food hygiene rules Why food hygiene is important? 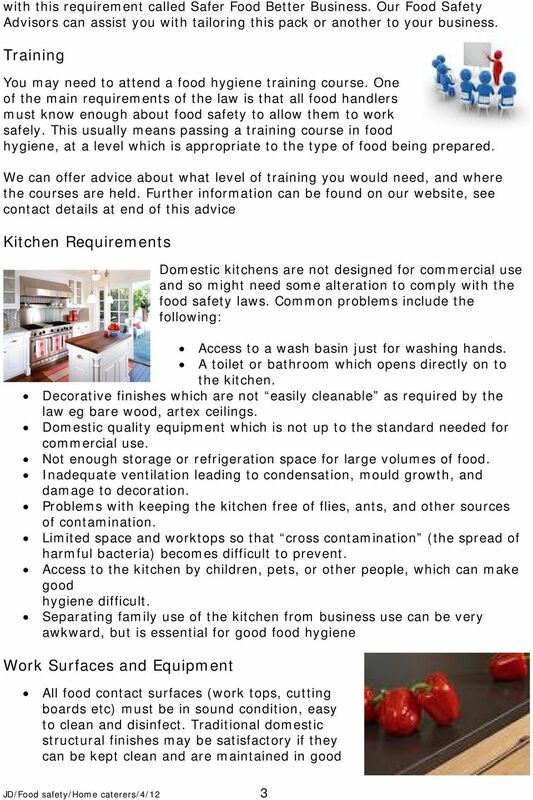 Good food hygiene is essential to ensure that the food you and your family eats is safe. Poor hygiene procedures in your home can put you at risk. 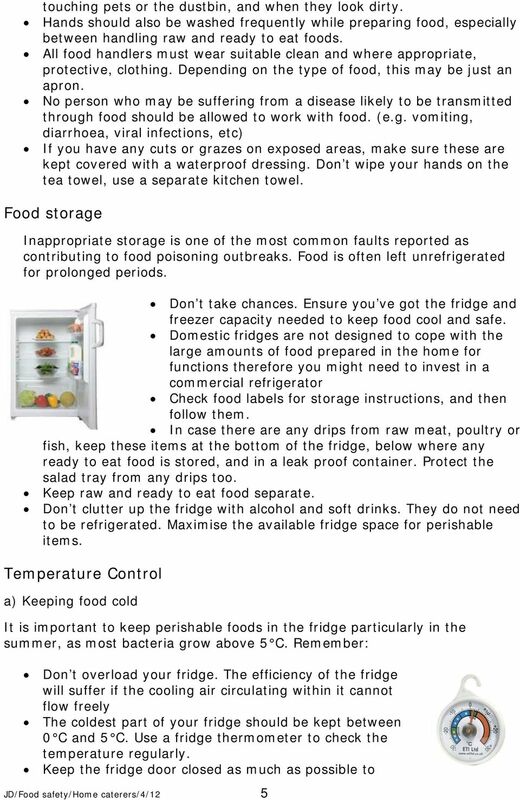 HOME CAKE MAKER FOOD SAFETY DOCUMENTATION. How to use this template document: There are 3 sections to this template document. To order further copies of this or other publications produced by the Agency, contact Food Standards Agency Publications. 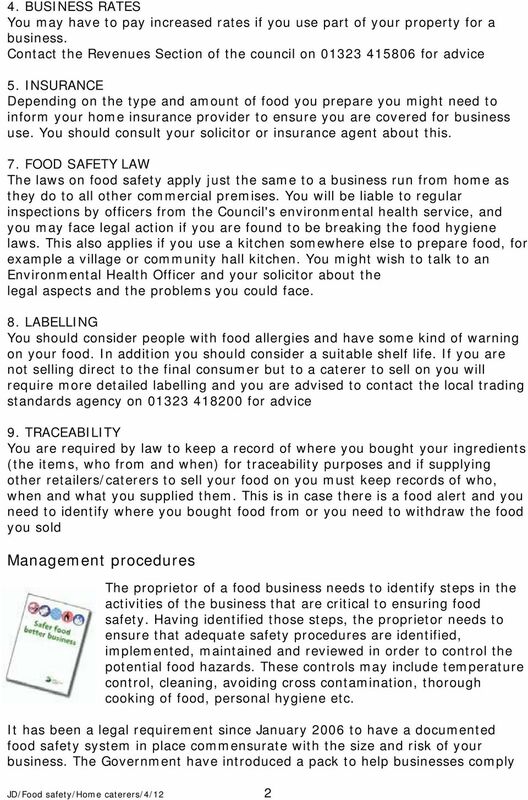 Food hygiene a guide for businesses This booklet is for restaurants, cafés and other catering businesses, as well as shops selling food. The original inspection report is reproduced below with brief notes showing what was found at the time of the re-rating visit <in blue>. There may be an additional section covering health and safety concerns which fall outside the scope of the national food hygiene rating scheme. 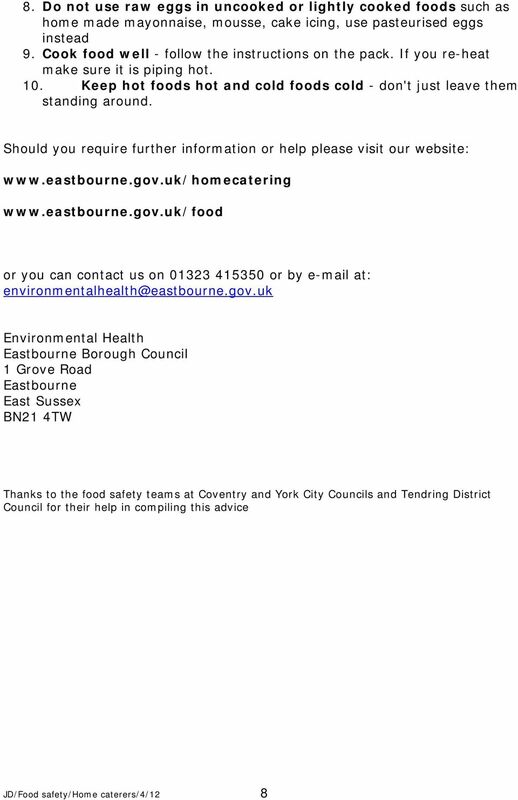 Safer food bet ter business for caterers This page has been left intentionally blank Working with food? 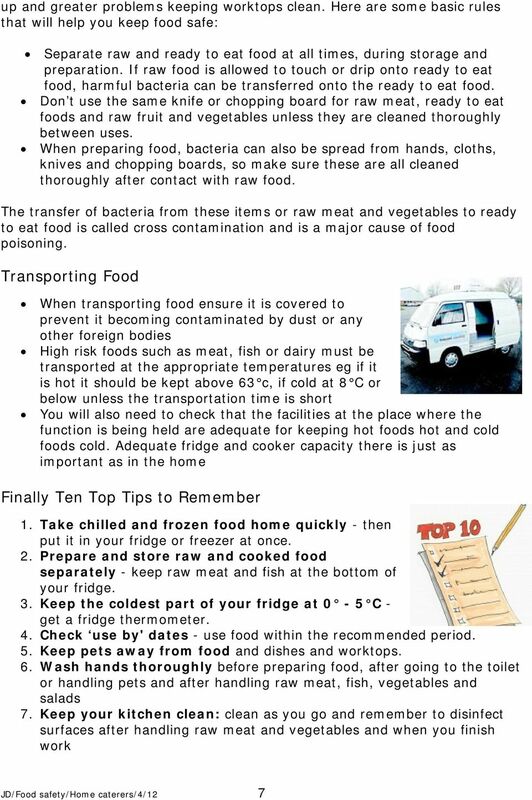 What you need to know before you start It is easy for you to spread bacteria to food without realising. 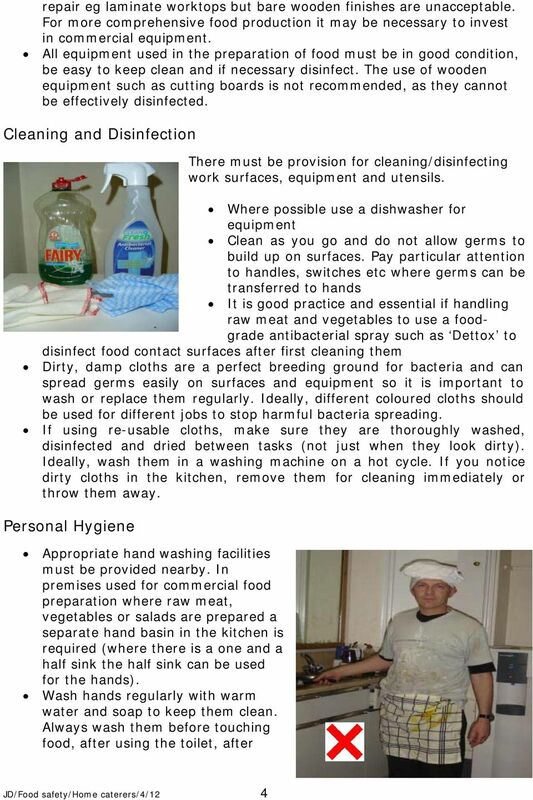 Background: Safe Food Handling Hand Washing Hand washing is the key to preventing bacterial contamination of food. Washing with soap, using a brisk rubbing motion for 20 seconds, effectively removes bacteria. Check that you have the correct paper. Please complete the information above. You do not need to use complete sentences for the reading assessment. FREE. Turkey Timer Inside. Time the turkey to perfection this Christmas! Draft. Draft. 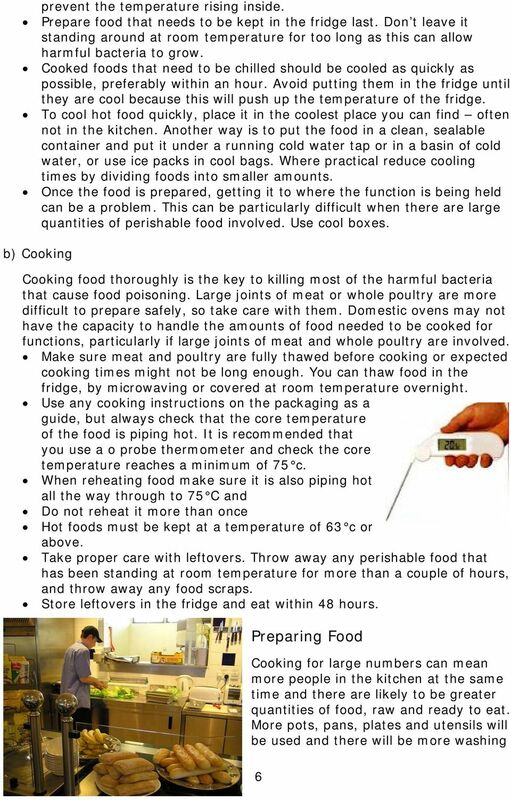 Procedures to maintain food safety. Food safety requirements and regulations. Introduction. Key terms. This quick guide provides a summary of food safety and labelling advice for small scale home producers of chutneys, pickles, flavoured oils and jams.